Come live where everyone wants to vacation !!! Waterfront downstairs unit at Holiday Shores Condos. Location, Location, Location! One of the most private unit at Holiday Shores at end of development. 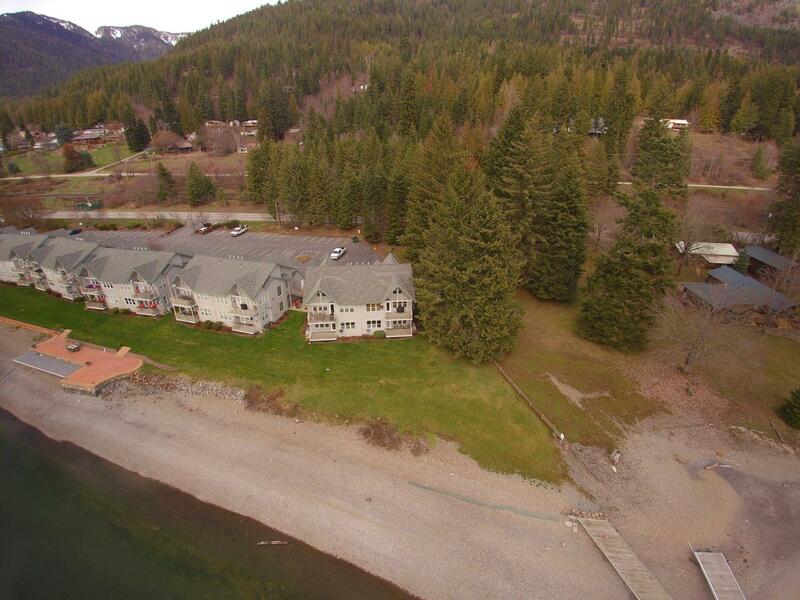 Picturesque water views of Ellisport Bay and Holiday Shores Marina plus the Selkirk Mountains. Two bedroom, two bath with a great covered deck to the lawn and waterfront. One car garage, fireplace, central air conditioning, southern exposure. Adjoining Holiday Shores Marina. Many great restaurants nearby. Community dock and patio for day use. Listing provided courtesy of Realty Plus, INC.